Requires iOS 4.0 or higher. 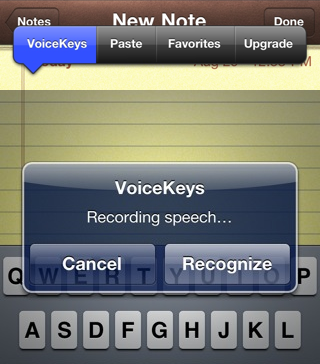 Dictate text via Google's speech recognition service. 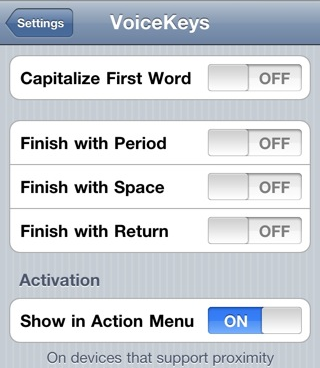 Enable dictation mode from the ActionMenu item, or by using the phone's proximity sensor. No icon is added to your homescreen. Configure options from Settings app.